Can You Tell I Like This Suit? BECAUSE I DO. 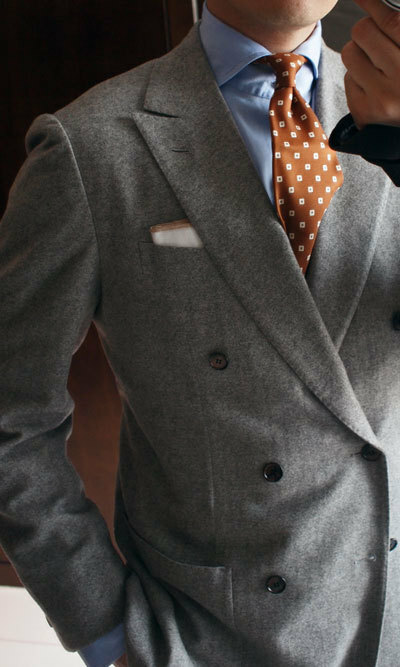 George from Beijing in a beautiful gray flannel double-breasted suit. 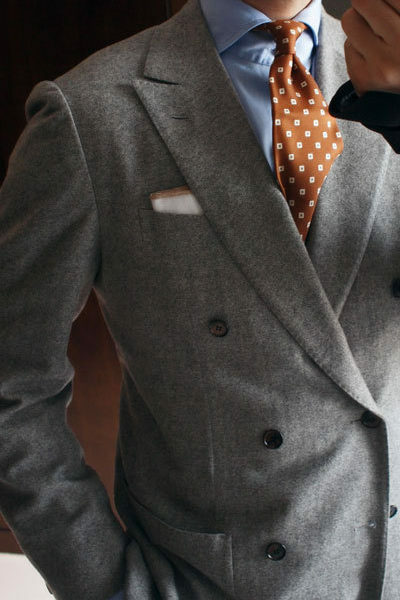 Flannel has a wonderful combination of softness and weight that makes it perfect for men’s suits. The way it falls and moves are unparalleled. The suit is bespoke, from Naples. Look at the lovely shoulders, and the high armholes. Notice that while the suit is double-breasted, it also has a wonderful shape, with a lovely waist and a slim, height-accentuating form. And what you can’t see is that George is wearing chocolate brown suede shoes, the perfect accent. Sheesh. Can you tell I like this suit? BECAUSE I DO.